sport-specific training gives him the edge in using your time efficiently to reach your ultimate goal. the International Fitness Professional Association and holds dozens of specific personal training certifications. 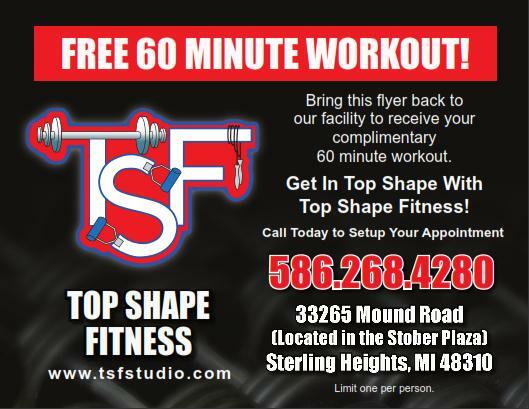 developments in the works to make Top Shape Fitness the number one personal training studio in Michigan. Come on in and take a look at TSF and stay tuned for more great things to come!